Between 19th and 21st of June Swamiji paid a short visit to Slovenia, during which he met both highest Slovenian representatives: president Kucan and Prime Minister dr. Drnovsek. 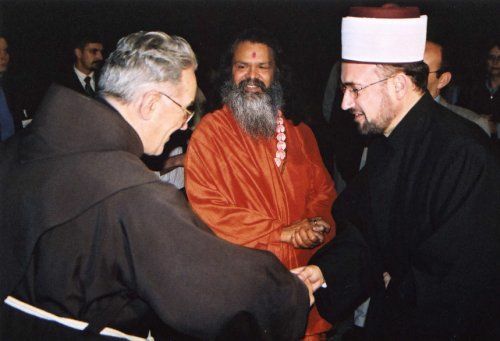 Paramhans Swami Maheshwaranandaji was again traveling around the world and visiting different continents and countries to spread the message of world peace and tolerance among all nations, religions and races. Everyone's support is needed for peace in the world. Peace begins in your own heart. Meditate and help others, be content with what you have. Success is in your hands and true peace is in your Self.